Clover POS is a point-of-sale system that offers an all-in-one solution including hardware, software, and payment processor, plus integrated apps. However, long-term contracts, proprietary hardware, and no choice in payment processor may not work for your business, which is why you might want to consider a flexible alternative to Clover POS. Small- to mid-sized businesses get an almost complete package with Clover POS, including proprietary hardware, plus a credit card payment processor is already picked for you, which could be an excellent turnkey solution for some business owners. However, Clover doesn’t leave you with much choice in most areas, and it’s harder to switch to a new POS system as the hardware only works for Clover. The Clover POS competitors we considered not only stack up next to Clover POS, but some are more affordable, flexible, or functional. For most small businesses, Shopify POS is the top overall choice as the best Clover POS alternative, based on our evaluation. It’s an excellent option for almost any type of business, online or off, and it works well for any industry, especially with third-party apps to help you achieve your goals. Shopify POS offers small business owners a platform to sell almost anything from an ecommerce website to a traditional brick-and-mortar shop. This POS gives you plenty of choice in credit card payment processors, unlike Clover POS, plus useful built-in features and functionality, and access to third-party apps to help you design your ideal POS. The Shopify POS app has an intuitive interface, and with each plan ― excluding Shopify Lite ― you get a website and blog. The biggest benefit to choosing Shopify POS is that you can run the software on either iOS or Android devices, making this one of the most flexible POS options for your small business. The Basic Shopify plan costs $29 and includes most of what you’d need to get started selling products or services online or at a pop-up event. The top tiers, Shopify and Advanced Shopify, give you access to third-party apps, plus a discount on fees, and the plans range from $79 to $299. Overall, Shopify’s POS plans are more affordable than Clover POS, which varies from monthly fees to payment processing fees, depending on the reseller, but expect to pay as much as 1 percent more for online payments and added fees for in-person transactions. *If you choose a third-party credit card payment processor rather than Shopify’s, you pay this percentage to Shopify. You get the basics for an online retail store with Basic Shopify POS. The plan includes 24/7 support by way of phone, email, or live chat, and you can add discount codes to attract customers to your included website and blog. It’s a good plan choice for a small business that’s focused on its online presence with occasional pop-up events in person. For more functionality, such as gift cards and reports, consider the higher-priced plans. A small business that requires an online store and a brick-and-mortar store might want to look into the Shopify plan, which gives you a better discount on fees, more staff accounts, and abandoned cart recovery, so customers in your system get an email reminding them to finish their purchase. This is also the lowest tier at which you get access to third-party apps, which can open up more functionality, such as for marketing, reporting, and customer service needs if Shopify doesn’t satisfy. Businesses that would need to upgrade to the Advanced Shopify plan are likely a bit bigger with more employees and would use the 15 staff accounts allotted. You’ll also get access to a third-party shipping calculator, so online customers can see precisely what they’ll pay for shipping through popular shipping services, such as FedEx, UPS, and USPS. You’ll also get custom reporting and better rates on processing fees. If all you’re looking for is a solution for selling products on a Facebook shop, then you might want to consider Shopify Lite. This low-priced plan from Shopify is $9 per month, and it allows you to sell products from Facebook easily. We didn’t include it in the chart because it’s so pared down that it’s difficult to compare it to other POS systems, like Clover POS, which is a fuller program for managing a retail shop or restaurant. A card reader from Shopify is free, but a complete hardware kit with an iPad stand, cash drawer, receipt printer, and a card reader will cost $656 up front, which is about half the cost of a Clover Station. All-in-one options are available as well, which start at $399. One thing to make Shopify POS a better system would be more included functionality, rather than having to rely on third-party apps, although this is precisely how Clover POS works, also. Customization of Shopify’s website and POS system isn’t straightforward, and you have to use Shopify’s coding language Liquid or hire one of Shopify’s expert developers for a specific function. Read through user reviews for Shopify POS and you could easily be convinced that it’s the best POS for small business on the planet. People who use and love Shopify POS cite the ease of use, quick setup, and the flexibility of apps and devices as the best features. The high price of fees and lack of easy customization are its biggest downfalls. Shopify POS offers more flexibility and functionality than Clover POS, making this a great choice for almost any small business owner. Whether you have an online business only, a quick-service restaurant or retail shop, and you want an ecommerce site with a ready-to-use shopping cart, you can do all of it with this POS system. One of the best POS systems is also one of the easiest to use: Square. You can get started with Square for no money down if you have an iOS or Android device to run the Square app, and the POS software provider sends you a free Square reader for credit cards. The software allows you to run sales reports, take payments, and gives you access to third-party apps at no charge. It also offers two paid plans for retailers and restaurateurs. Like Clover POS, Square expects its users to run all payments through its credit card payment processor, which adds to its ease of use but might pinch a bit in the higher fees. The pricing structure for Square may seem complicated, which is in direct contrast to the simplicity of the POS system itself. The software and card reader are free to use, and the system works on iOS and Android devices. If you need more features than Square’s software provides, consider Square for Retail or Square for Restaurants, POS systems designed specifically for those industries at $60 per month. Most of Square’s pricing comes in as a la carte features, however, which can add up, but there won’t be hidden fees, and any of the plans are going to be more affordable than Clover POS. You can get your business started accepting payments online or off without any money out of your pocket unless you choose the Square Stand. Square’s POS software is a free download, and the company will send you a card reader at no charge to you. After all, Square will make its money from your credit card payment processing fees. If you need anything other than a way to take payments, you’ll end up paying for added features a la carte style. This offering from Square is a POS designed specifically for retail shops that need a little extra functionality without having to pick and choose features. You’ll get customer profiles, advanced reporting, and vendor management. However, at $60 per month, it seems a little pricey when you still have to add on payroll, loyalty programs, and marketing for extra per-month costs. Another industry-specific POS solution from Square is for restaurants, and it includes almost everything you need to run an eatery. 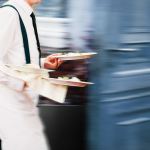 Table, menu, and order management are there, along with synchronized communication between front-of-house and back-of-house staff, so you can fire, hold, and course meals with ease. For more advanced management features, such as payroll, you’ll have to pick up separately for another monthly fee. Square’s entry-level POS system is known for being free, but upgrades are available. A reader that takes Apple and Google Pay, plus chip cards are comparable in cost to Clover POS at $49. Square also offers a mid-range option with its POS stand, which is only $169 and includes a card reader, and other hardware. Go with the Square Register for $999, and you’ll get a powerful system, but it isn’t complete. Add on a receipt printer, cash drawer, and scanner, and you’re looking at a pricier hardware solution than Clover POS and other competitors. Square’s POS systems may be easy to use, but the pricing is convoluted when you get into the add-ons, even if Square claims to be straightforward. Square for Retail and Square for Restaurants might not seem worth the cost as there are more features you have to add on for extra money per month. Like Clover POS, you don’t get to choose your payment processor, which means you’re stuck paying the set fees and rates that are nonnegotiable. Good luck finding an easier-to-use POS system than Square, according to most user reviews of this software. Customization is limited to what Square offers as integrations or add-ons. Square’s hardware gets lower marks for being finicky or failing early in its life. The best candidate for Square POS software is the solopreneur who needs a way to accept credit card payments while on the go. It can work for a small team, and it’s an incredibly easy-to-use system, especially compared to Clover POS. Square for Retail and Square for Restaurants are more robust systems that provide more targeted features than Clover POS. As with other cloud-based POS systems, ShopKeep offers a variety of features that any small business needs for sales transactions, reporting, employee management, and inventory tracking. The 24/7 customer support team does its best to respond quickly and solve any issue you might have, whereas Clover POS tech support comes from its parent company First Data, which is a credit card payment processor that doesn’t provide the most helpful support. The user interface is easy to learn, regardless of your tech knowledge, and it offers integration with many third-party apps. You get to choose your payment processor, which means you can shop around for the best deal on fees. Plus, ShopKeep’s own fees are negotiable, and often your account manager will match competitor’s quotes on fees. The monthly fee for ShopKeep starts at $69, but it only provides the bare minimum features for a pop-up shop. Jump up to Essentials at $99 per month, and you’ll get more features, but that’s for one app register only ― additional registers are $69 each. The top-tier plan is $199 per month, but it includes unlimited registers at no added cost. Your credit card payment processor fees will vary depending on your transaction average, but they’re negotiable, and this helps keep this POS choice a more affordable solution than Clover POS. For $69 per month, you’ll get a ShopKeep POS system that’s good for on-the-go businesses that only need to process payments and keep track of inventory. It’s a bare-bones option that won’t give you third-party app integrations or any other extras. The mid-level package gives you everything in the basic package, but for $99 per month, you’ll also get access to 10 different reports, the PocketApp, which is a bit like live reporting, app integrations, such as QuickBooks Accounting and Mailchimp, online ordering for restaurants, and gift cards. Plus, you’ll get a BigCommerce website. For small- to mid-sized businesses that need more than one register, there’s ShopKeep’s Advanced package that offers unlimited registers at no added cost for $199 per month. You’ll get everything in the Essentials plan, plus VIP customer support that allows you to jump to the front of the queue, a customer loyalty plan, and some search engine optimization (SEO)-powered support for your business. You can pick up a basic hardware starter kit from ShopKeep’s store for $809, which includes all you need to get started, just add one iPad. There are other kits for quick-service shops, restaurants, bars, and retail that range from $1,297 to $1,519 each. A mobile register kit is only $198. Hardware costs are comparable to other POS providers’ wares, including Clover POS. ShopKeep seems to focus more on its partners and selling hardware than it does fixing known bugs and issues. While customer support works hard to help clients, there’s not much tech support can do to push the developers to make fixes. Also, transparency in pricing would be a better approach to gain more customers. You’re likely to find ShopKeep user reviews that praise the customer support team of this POS system provider but lament the glitches and bugs they run into. It’s also limited on third-party app integrations. Small business owners of brick-and-mortar shops who need a basic POS system with a bit of extra help in employee and customer management could do well with ShopKeep. The customer support team answers questions quickly, and compared to Clover POS, even that is a step up. It’s also a good choice for former Clover POS users as ShopKeep is the only other system that works on Clover’s proprietary hardware. Lightspeed offers a handful of industry-specific POS systems that are designed to do exactly what you need them to do based on whether you’re operating an ecommerce, restaurant, or retail business. The customized features for each system leave little guesswork on your part about what you need or what’s missing as opposed to Clover POS, which seems to focus more on hardware, rather than features you need. The Lightspeed eCommerce plan starts at $59 and includes a handful of helpful features for running a small business. Lightspeed Restaurant includes features necessary for any eatery at $69 per month. Lightspeed Retail starts at $99 per month and includes even more features, giving you more for your money than Clover POS. Payment processing fees are up to whichever processor you choose. As long as you have no plans to go offline to sell products, the Lightspeed eCommerce plan could be all your business needs. For $59 per month, you’ll get an easy-to-manage inventory system, themes to create an eye-catching website, marketing tools, and helpful reporting. From table management to tableside ordering, Lightspeed Restaurant is a POS system that includes almost every feature you’d need to run your restaurant for $69 per month. You’ll get employee management tools, customer loyalty programs, and the ability to integrate with other helpful apps, for missing features, such as time tracking and accounting. Lightspeed Retail is a POS system plan that costs $99 per month and includes features such as, a robust inventory management system, vendor management, real-time data, and gift cards. There are plenty of third-party apps you’ll have access to as well. Pricing for Lightspeed POS hardware isn’t readily available — you have to request a quote. However, there’s plenty of compatible hardware from other sellers, which means you can get a setup for retail, restaurant, or other type of shop for a low cost. An average cost for a restaurant hardware kit is $550, which is far more affordable than Clover POS. The biggest sticking point with Lightspeed POS systems — all three plans — is that they aren’t fully featured, even if they are ideally designed for each type of business. Some of the features you may consider base are available only as add-on apps, at least for the ecommerce and Restaurant plans. The way each plan is designed, you’re likely to drive up your monthly costs if you want to create a complete POS solution. Users who reviewed Lightspeed Retail loved the POS system just as it’s designed. The POS software does exactly what you need it to do, and the add-on apps are just extra functionality. 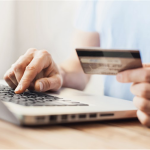 However, the Lightspeed eCommerce POS plan doesn’t integrate well with its other products, such as Lightspeed Retail and your payment processor, which means potential financial inaccuracies. If you’re looking for an industry-specific POS solution, Lightspeed offers specially-designed software options to give you only what you need and nothing you don’t. You may need to dive into third-party apps for extra functionality, but as a base product, each level gives you more of what you need compared to Clover POS’s one-for-all design. Lightspeed Restaurant has improved significantly over the years, but it can still present glitches and crash at times. Clover POS offers a complete business solution from software and hardware to credit card payment processing. However, it locks you into contracts, may include hidden fees, and could be more expensive than a small business can afford. Shopify POS gives you more features and flexibility for the cost. Additionally, it gets high marks for its ease of use. For all these reasons, Shopify POS is what we’d recommend as the best Clover POS alternative.